"Hello everyone! During this September month, I only stayed in Hong Kong for a few days. I spent the rest of my time vacationing all of China. I visited many beautiful places (Sorry I can't translate the names) and the local people were very nice to me. Each place has its own historical features that I find irresistible. Throughout September, I feel very happy and satisfied. Perhaps I will take another vacation with Frankie in November." I thought she's filming in November? Maybe she'll go with Frankie in early November before the filming starts. Gotta enjoy life while you can before the hard work comes along huh? I wonder why she didn't go with Frankie this time. I thought he was done with his latest mainland drama. Credits to DAN for Vietnamese translation. The series will start filming in either mid to late November to April 2009. There will be many scenes that take place in Europe. Aside from the strong casts, it looks like TVB is putting great investment into the series by filming it in other places. Kenix will play an ambitious lawyer who sacrifices love for career but she will regret later. Ray will be a successful business man whose life story is based on one of the Kwok brothers, the third wealthiest family in Hong Kong. However, TVB claims that their script is "original." Ray Lui, Gallen Lo, and Sunny Chan will play brothers. So far we know that Gallen will play a villain and he and Ray are not getting along. Krystal Tin, Kenix Kwok, Vincent Wong are siblings and children of Nancy Sit. Ray, Gallen, & Sunny will be cousins of Krystal, Kenix, and Vincent. Jamie Chik is Ray's legitimate wife and Kenix plays his first love and soulmate. Jamie and Kenix are not getting along. 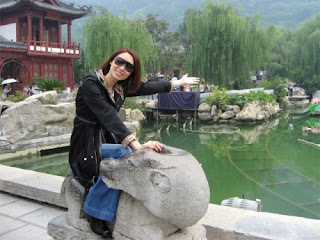 Anita Yuen is Gallen's wife and best friend of Krystal. I'm not fond of the pairing of Sunny-Krystal. I don't think they look compatible. I watched Phoenix Rising and as much as I admire Sunny's love for Krystal in there, I still don't think they match. Sunny looks so much better with Kenix. So far, we haven't heard much about Sunny's character so lets hope that TVB put something on the plate for him. When was he added to the cast anyway? I have not seen his name anywhere and suddenly he pops up as one of the brothers.